There’s a lot of information and misinformation online and in the news. It’s easy to get caught up in the hype of what someone loud is constantly repeating on the news. When making investment decisions sound data, knowledge and experience is far more important than what an opinionated, well-meaning but misinformed friend may be saying. 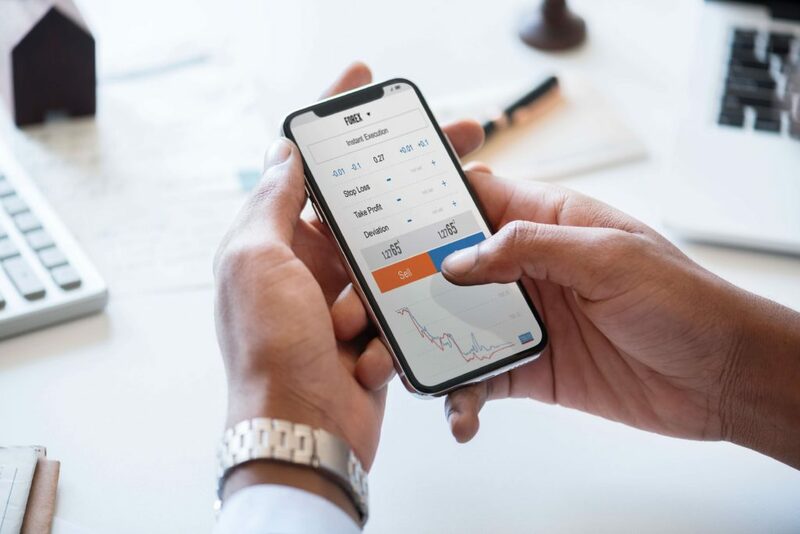 Experts say a diversified investment portfolio is a strong way to hedge investments and have the best chance of long-term success. Warren Buffet says to invest in index funds and anything you know very well and believe in; he’s a strong value investor, investing in companies that trade under their book value. These are all excellent pieces of advice. The real estate community likes to boast about how much better real estate is as an investment compared to stocks. There’s a strong argument for that, considering home prices consistently keep pace with better-performing stock market indices as you’ll see below. Commercial real estate has been performing even better recently. However, directly investing in real estate means your investment is illiquid, whereas stocks are liquid. There are pros and cons to each approach. My real estate experience is in New York, Toronto, Philadelphia and South Carolina, but I keep an eye elsewhere too. Despite the great recession from a real estate bubble in the early 2000s, prices have since recovered and even surpassed pre-crisis levels. On average, people that had real estate prior to the crash and held onto it have now seen their assets appreciate. They say with real estate, just buy and wait and it’ll pay off. 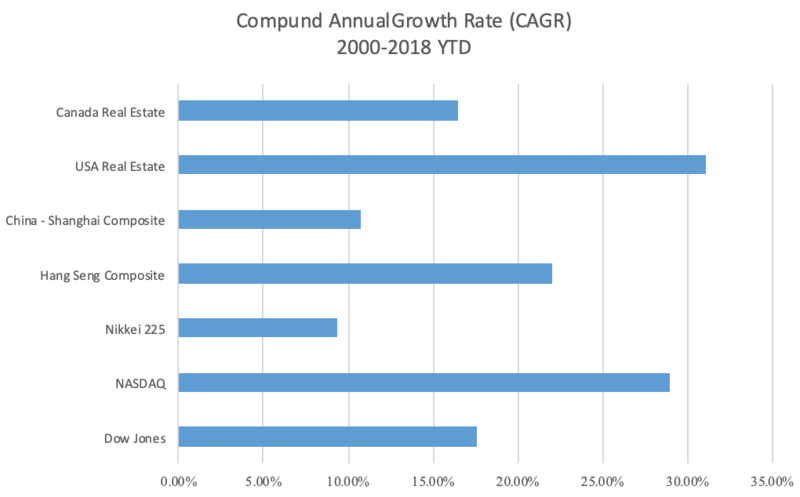 A compound annual growth rate (CAGR) since 2000 of 31.1% is certainly good investing. The Canadian market has seen rapid appreciation recently too. That’s just a simple buy and hold strategy, and there are other strategies to profit from. But, real estate is illiquid. That’s where investing in funds or Real Estate Investment Trusts (REITs) could make sense, albeit with smaller returns. The stock market is a decent long-term play for passive investing too. There’s been volatility in each sector, so long-term balance is key. Tax benefits of real estate investing in my opinion are far superior to anything available in the stock market (again, I’m not a CPA). (Update: new blog article available here on tax benefits of real estate investing). I have a strong appetite for risk and see the benefit of investing directly in real estate. It requires some active management both of projects and finances. Direct real estate investing yields the greatest rewards, especially when adding value to a property for appreciation and added cash flow. For example, purchasing an old home on a large lot and expanding it to create a multi-family property. Not everyone has the time, knowledge or skills for that. The secret ingredient to real estate success is in leverage. The above CAGR analysis is strictly for cash payments of property, but doesn’t factor in leverage. With leverage, returns are far superior when projects are successfully executed. For example, just flipping a single family home while using a bank loan can yield results. I don’t recommend flipping to everyone or in every market, but when done property, it yields results. One home in South Philadelphia was purchased for $160,000, with a $55,000 renovation budget. Cash out of pocket to close the deal was about $40,000, with the bank funding the rest. The sales price is around $300,000. When all the bank fees, taxes, commissions and other fees are paid, it will net a profit of around $60,00; $60,000 profit on $40,000 cash is a 150% cash on cash return in only six months. Leveraging is risky business, so you need to be confident in the investment and the manager. If the market goes south, a good fall-back isto have a lender lined up that can refinance once repairs are completed; you can get your investment back and rent the property. It’s important to run the numbers thoroughly prior to closing the deal to ensure potential rent will more than cover expenses. This is just one small example. Multi-family and other commercial deals have similar opportunities. Strong market fundamentals, good contractors, a good investor with a fall back plan, and good communication can help. Often times the best way is by investing directly in projects someone you know is managing, or in an area you know well. I enjoy putting deals together, and recently started taking on investors so I can do more real estate deals. So far these have been through partnerships, but I’ll also be looking at syndicating starting a fund in 2019 through JDT Capital. Real estate shouldn’t be your only investment strategy, but it should be a big part of your portfolio. Many qualified advisors recommend allocating at least 30% of your investment portfolio to real estate. That’s a decent number, although I’d argue it should be higher if you know anyone reliable with a track record of success and projects to invest in.